Mark Gudis has 30 years of experience investing in middle market companies at industry leading firms. Mr. Gudis began his career in the mid 1980’s working at Bank of America, Citibank, Toronto Dominion Bank and Barclays Bank. 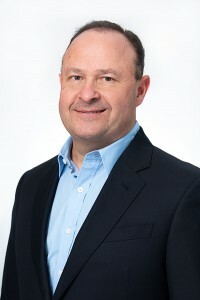 He later served as a Senior Vice President and the Head of Sponsor Finance in the middle market for GE Capital Corporation from 1993-1999, where he managed the Los Angeles, San Francisco and New York offices. Mr. Gudis joined The Blackstone Group’s Corporate Debt Group in 1999 where he focused on structured debt and equity middle market investments. As a Partner and investment committee member at Blackstone, he served as the head of sourcing and transaction development. Prior to Backcast, Mr. Gudis was the founder and Head of the Private Debt Capital Group at S.A.C. Capital where he sourced, invested, and managed over $2 billion of firm capital in a variety of debt and equity securities mainly in the middle market. Mr Gudis graduated from USC (1985) with a Bachelor of Science Degree in Business and is a long-time Advisory Board Member for the USC Marshall School of Business. He is also a member of the Board of Directors and serves on the Finance Committee and chairs the Investment Committee for both Norwalk Hospital and the Western Connecticut Health Network.